Wave-driven extreme water levels are examined for coastlines protected by fringing reefs using field observations obtained in the Republic of the Marshall Islands. The 2% exceedence water level near the shoreline due to waves is estimated empirically for the study sites from breaking wave height at the outer reef and by combining separate contributions from setup, sea and swell, and infragravity waves, which are estimated based on breaking wave height and water level over the reef flat. Although each component exhibits a tidal dependence, they sum to yield a 2% exceedence level that does not. 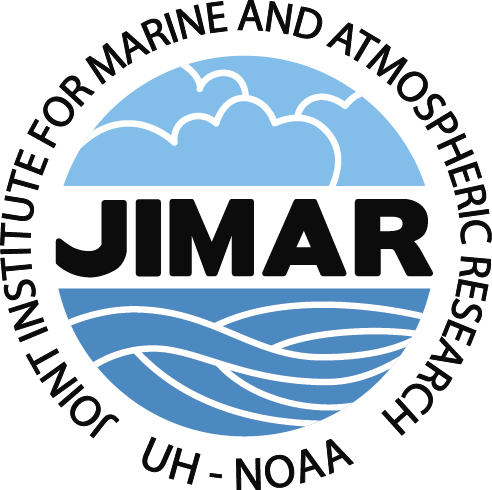 A hindcast based on the breaking wave height parameterization is used to assess factors leading to flooding at Roi-Namur caused by an energetic swell event during December 2008. 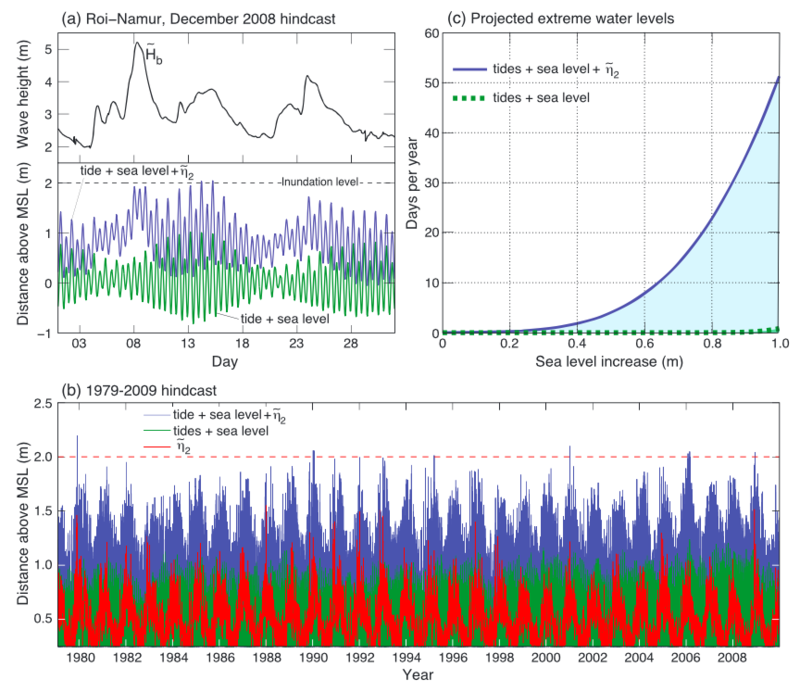 Extreme water levels similar to December 2008 are projected to increase significantly with rising sea level as more wave and tide events combine to exceed inundation threshold levels. Figure. (a) Reconstruction of the December 2008 flooding event at Roi-Namur based on tide + sea level from the Kwajalein tide gauge, breaking wave height (Hb) estimated by shoaling deep water wave heights from the WaveWatch III hindcast (8), and estimated 2% exceedence water level (𝜂̃2) based on (2). Inundation is estimated to occur when tide + sea level + 𝜂̃ ≥ 2 m above mean sea level. (b) Same as Figure 3a for the time period February 1979 through December 2009. (c) The cumulative number of days per year that tides + sea level and tides + sea level + 𝜂̃2 are ≥ 2 m at Roi-Namur for sea level increases between 0 and 1 m. The estimate is based on adding constant water level increments to the time series depicted in Figure 3b.